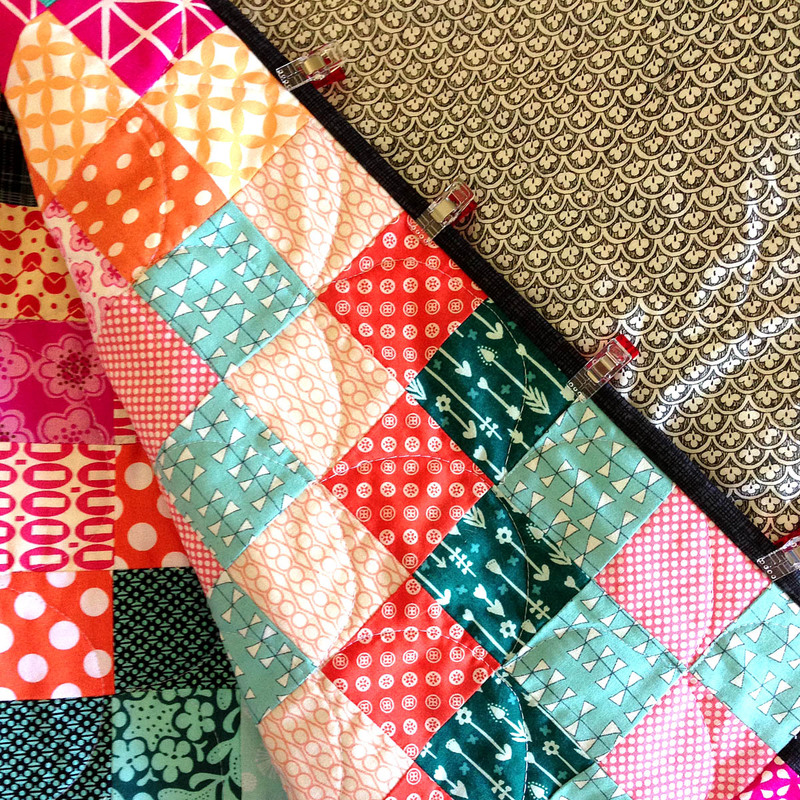 There is nothing better than pulling a freshly finished quilt out of the dryer. 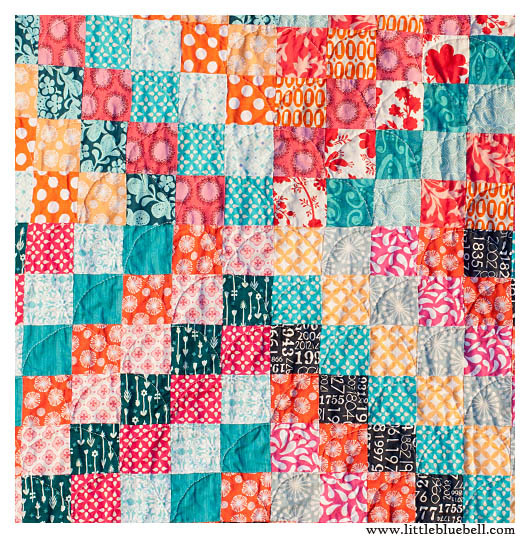 This quilt began as part of the scrappy trip along earlier this year. 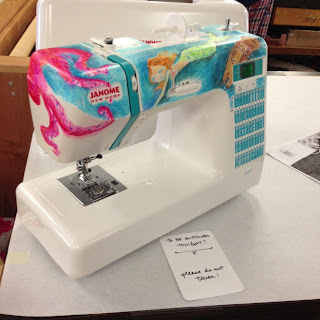 I remember finishing the top over winter break, and even though I had fabric for the backing and the binding all picked out, I put off finishing it. I don't usually have room to pin baste quilts this size without moving stuff around so they sit around to be quilted longer than my smaller quilts. 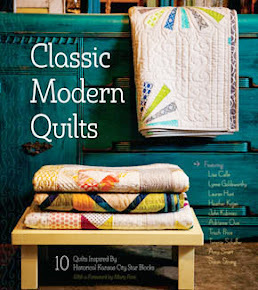 I also wasn't sure how I wanted to quilt it. 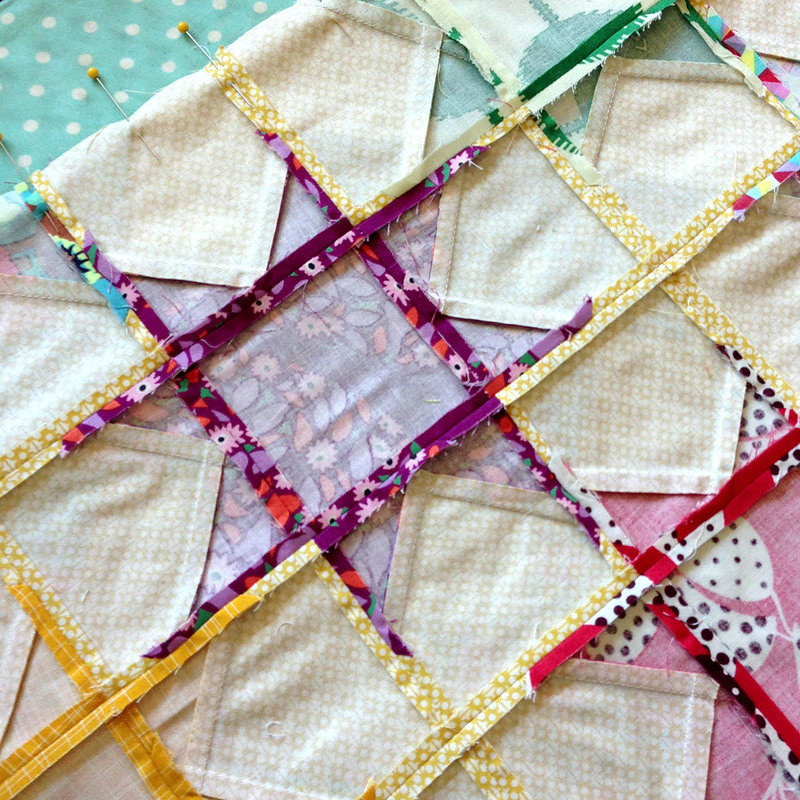 It has a vintage feel with all of the patchwork squares and I wanted to keep it soft and squishy. 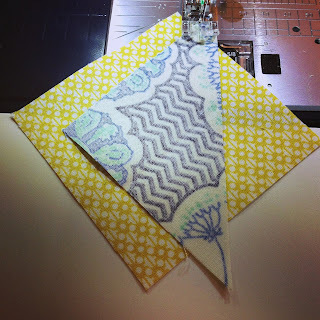 Helen (Helen in the UK) suggested clam shell quilting and I LOVED that idea. 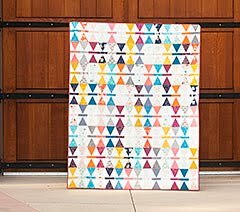 My Sparkle Punch quilt top is done! Hooray!!! If it feels like this top came out of no where, it kind of did. 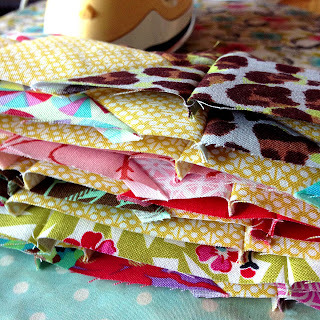 It's been a steady stream of manic quilting. We are moving this summer, but we don't know where yet. I can feel the start of the school year breathing down my neck and I worry. So instead of pacing, or eating sweets, I sit down and sew. Luckily this quilt top is very straight forward to sew (if not a little tedious) and it was just what I needed. 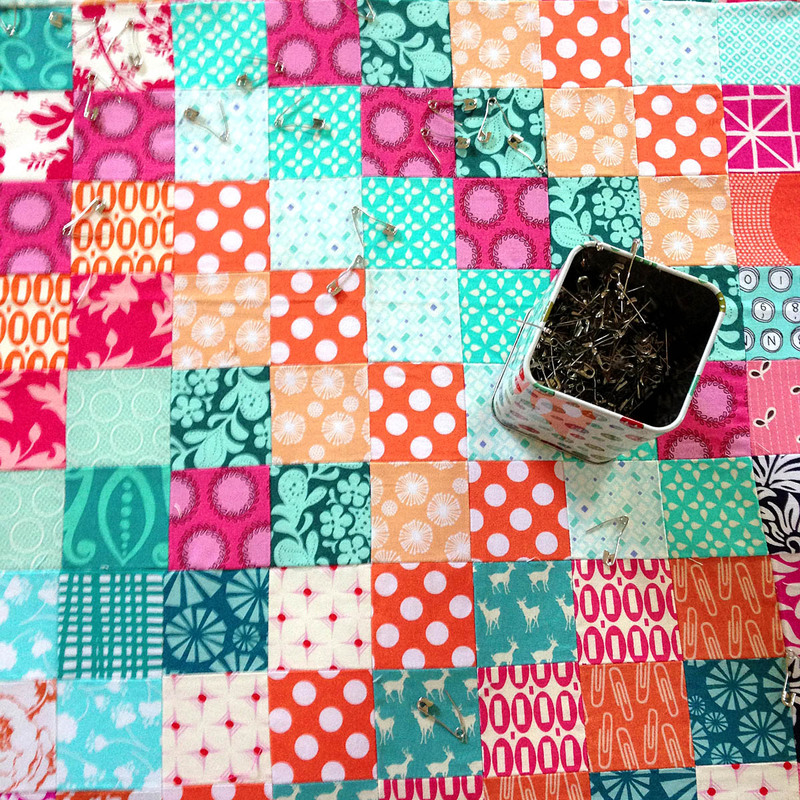 These fabrics have been excellent companions. They are a cheerful bunch spread out on my worktable. I started with a stack of prints from Field Study by Anna Maria Horner and sprinkled in some of my favorites by Denyse Schmidt and Aneela Hoey. 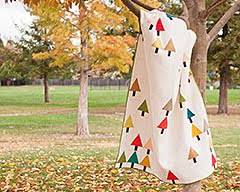 The Sparkle Punch pattern can be found on Elizabeth Hartman's blog, Oh Fransson. 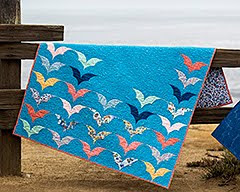 The South Bay Area MQG announced a fun quilt along a few months back. 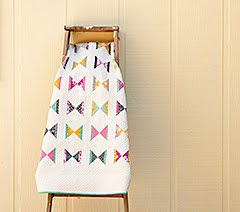 I cannot resist a good quilt along and this will be the first one I've done with local quilters. I'm excited! 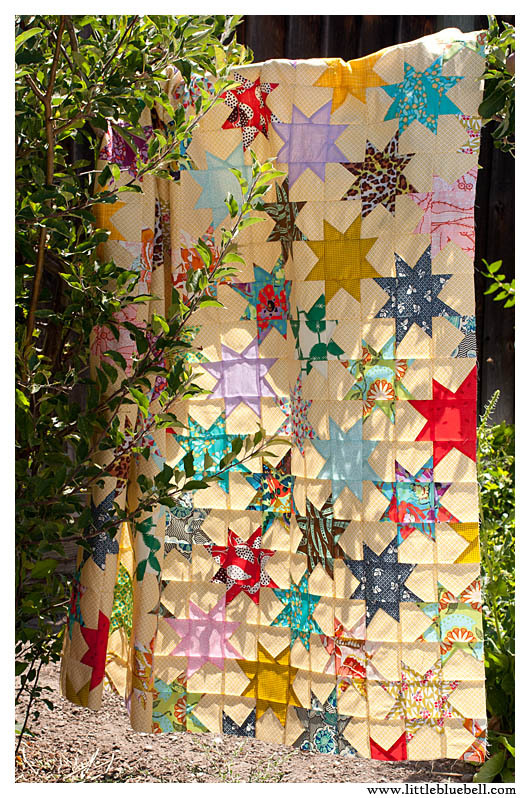 We're making Elizabeth Hartman's Sparkle Punch quilt together. 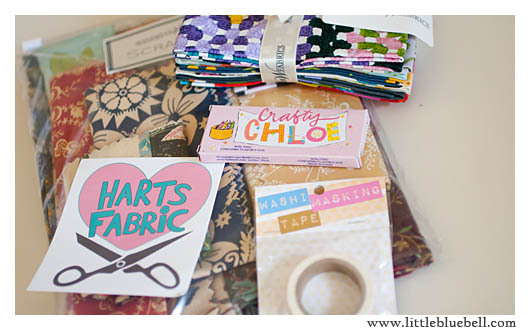 I found fabrics pretty quickly and even cut out all my squares. Then it was set aside in order to finish some other projects. 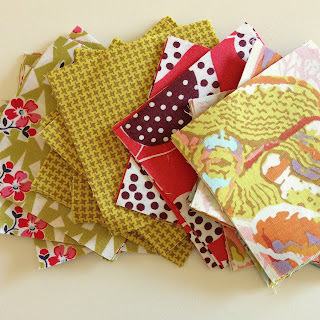 Mixing in new fabric combinations and playing with color is my favorite part. Have you made a sparkle punch quilt yet? 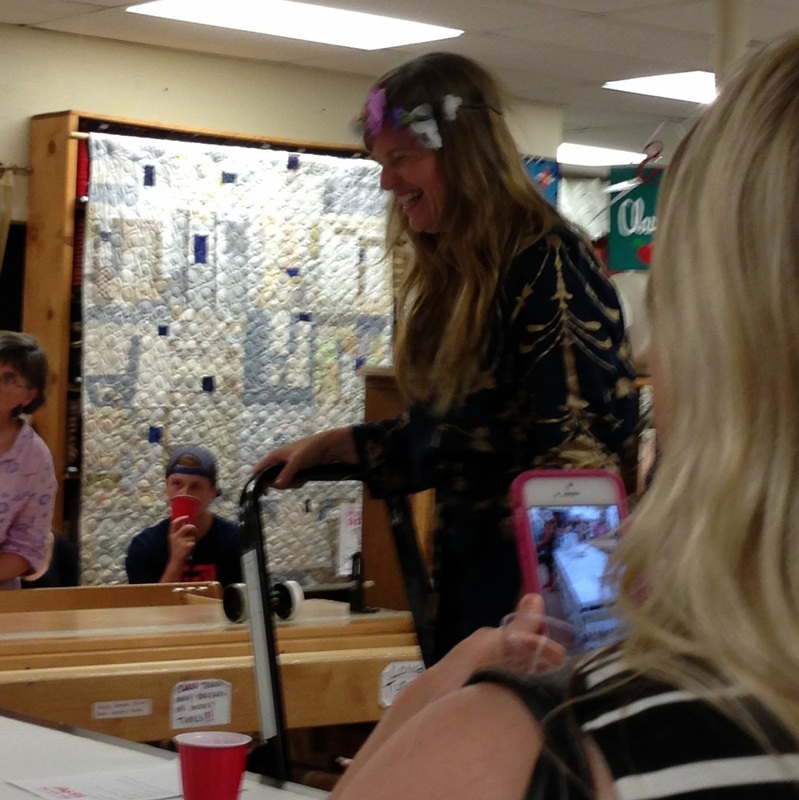 Heather Ross held a benefit last night at Harts Fabric in Santa Cruz. The doors opened a little after 7pm and we were immediately greeted by Heather Ross herself! We were invited in for the cocktail reception and handed a list of Live Auction items. Tables were spread with some really amazing crafty items, some of them donated by Denyse Schmidt, Lotta Jansdotter, Martha Stewart, as well as local talent! Proof again that this is a very caring and generous community. I made a bee-line to the back of the store so I could see this with my own eyes. A Janome sewing machine hand painted by Heather herself. So amazing!! It was open for live bidding later that night. 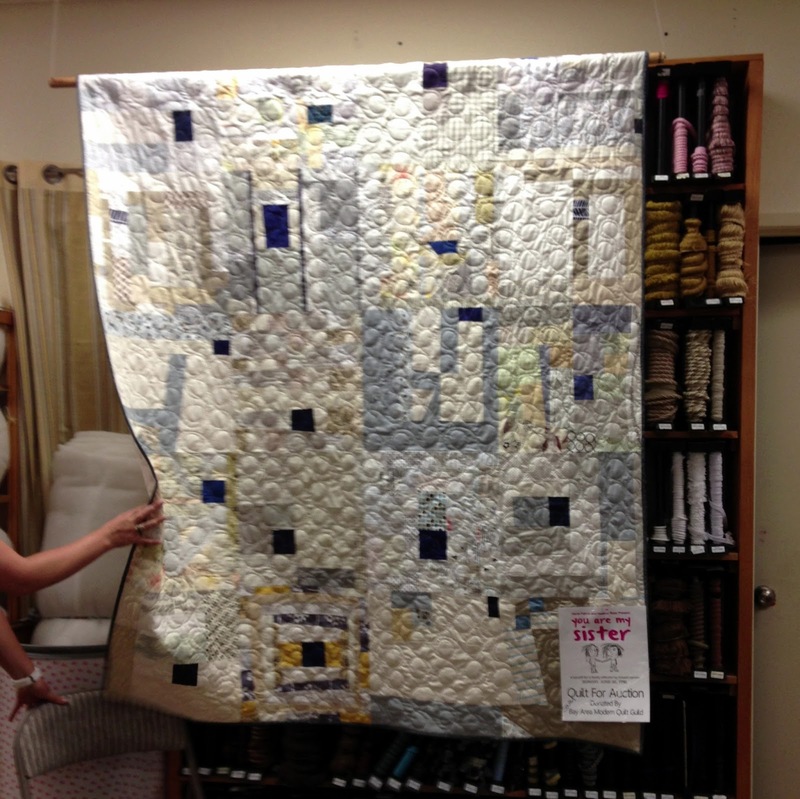 Also up for auction was a collaborative quilt made by members of the South Bay Area Modern Quilt Guild. 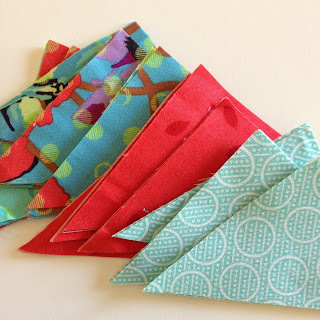 Guild members made improv blocks using navy and low volume prints. You might recognize mine in there towards the bottom. 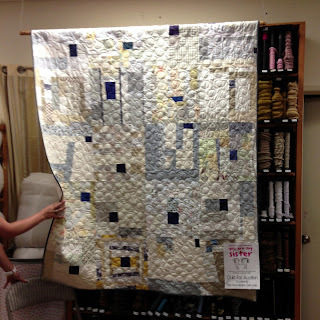 A huge shout out goes to Karen, Susan, Susan and Tina who pieced the top, quilted and bound it in record time. Seriously, we had less than a month to pull this off! 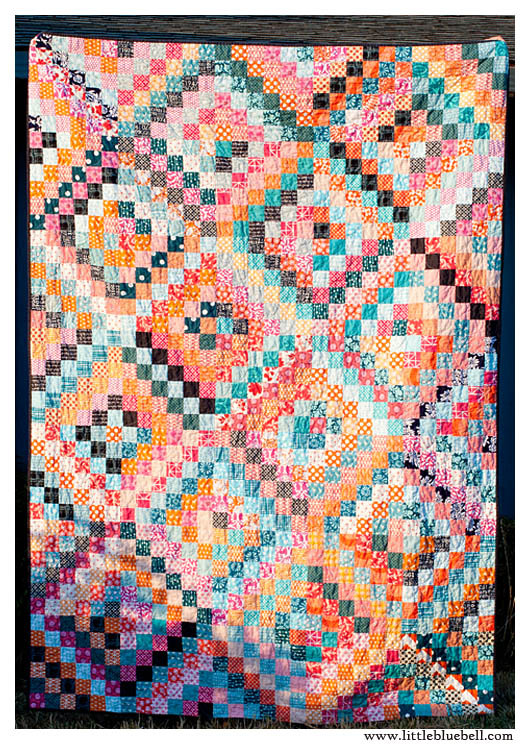 For the silent auction, there were some really sweet little girl and baby items made with Heather's fabric that I caught my eye right away. 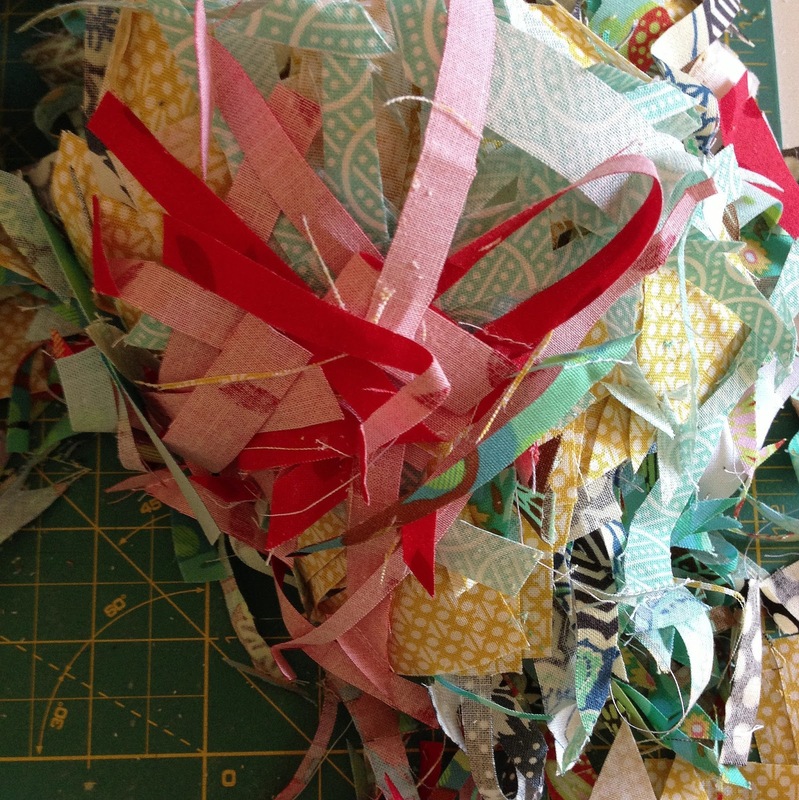 Since my little girl is no longer a baby, and I knew I could never cut them up, or sell them on ebay, I left the bidding up to others. 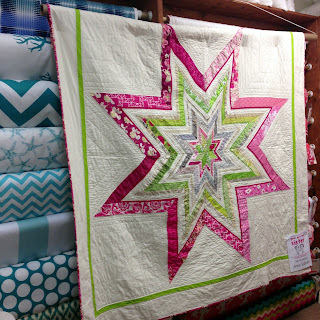 There were two gorgeous quilts I was tempted by, "Bolt" by my friend Karen Foster (Capitola Quilter) and a wholecloth quilt by Denyse Schmidt. 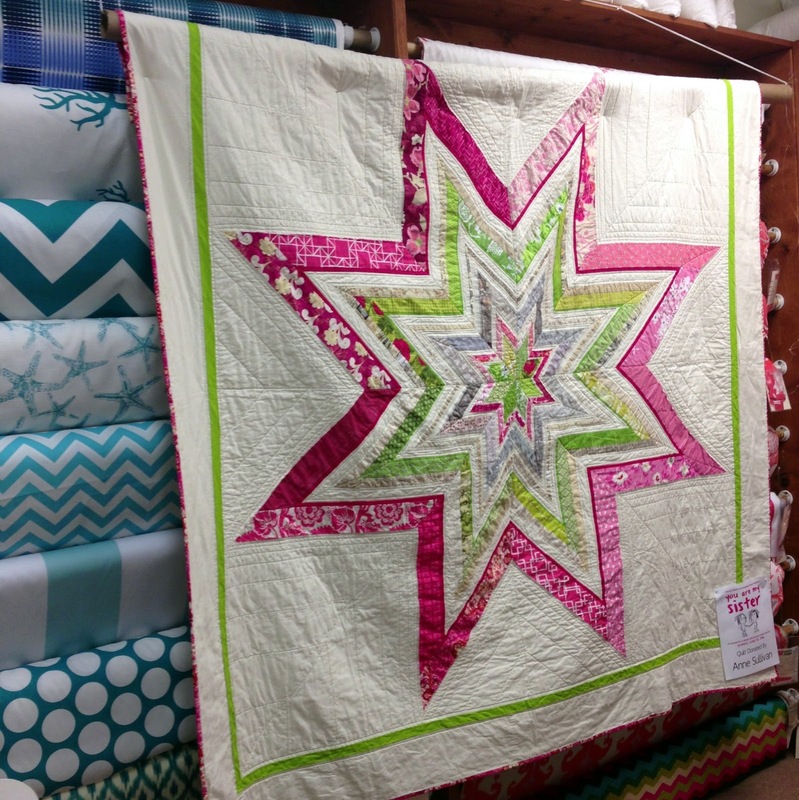 For some reason, I felt weird bidding on quilts as a quiltmaker. Totally silly, I know. One of the hottest items was a ticket to Heather's sold out workshop in Palm Springs. It quickly sped out of my budget. I did end up bidding on (and won!) 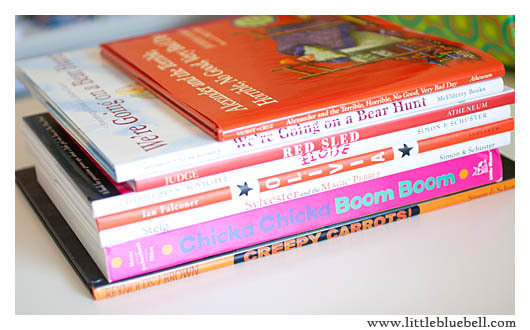 this awesome set of children's books that were donated by Simon & Schuster. It felt good to contribute and I knew my kids would really love them. 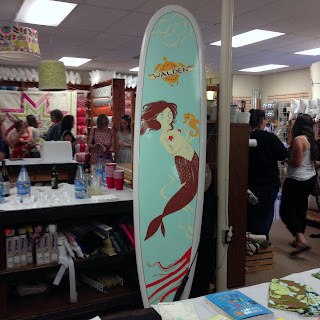 While walking around the raffle and silent auction tables you couldn't help but notice the giant surf board in the room. I think it was 8', but I am not a surfer girl, so don't quote me on that. 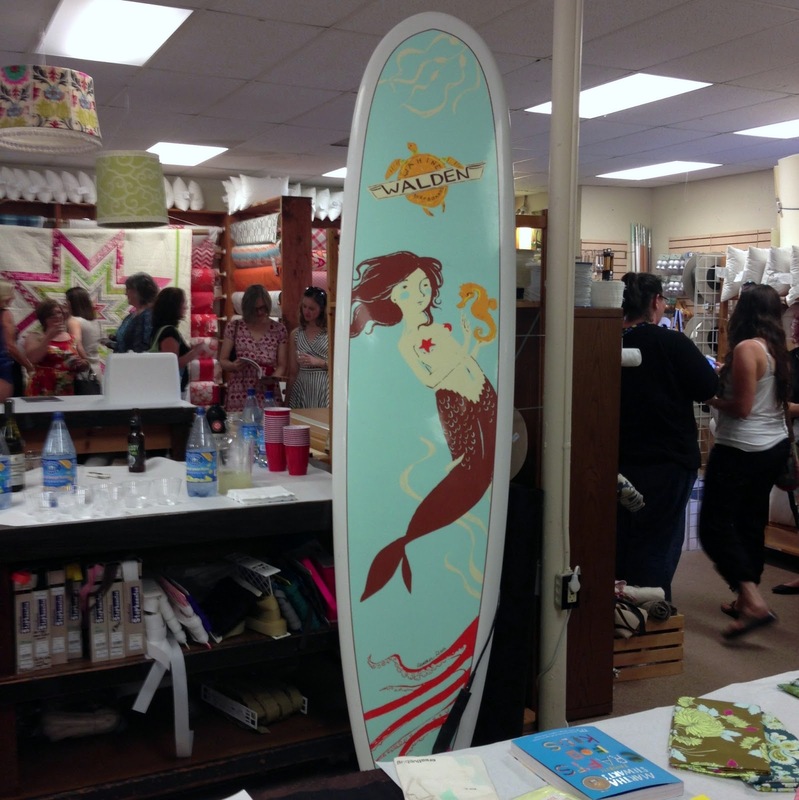 It was a limited edition Walden Surfboard with Heather's iconic mermaid and octopus art work on it. I'm pretty sure this made everyone's hearts beat a little faster. One raffle ticket was included for everyone attending the benefit. Additional tickets were sold in advance online and you didn't need to be present to win. There were some really good items on that table that I crossed my fingers that Heather would draw my name as the winner. 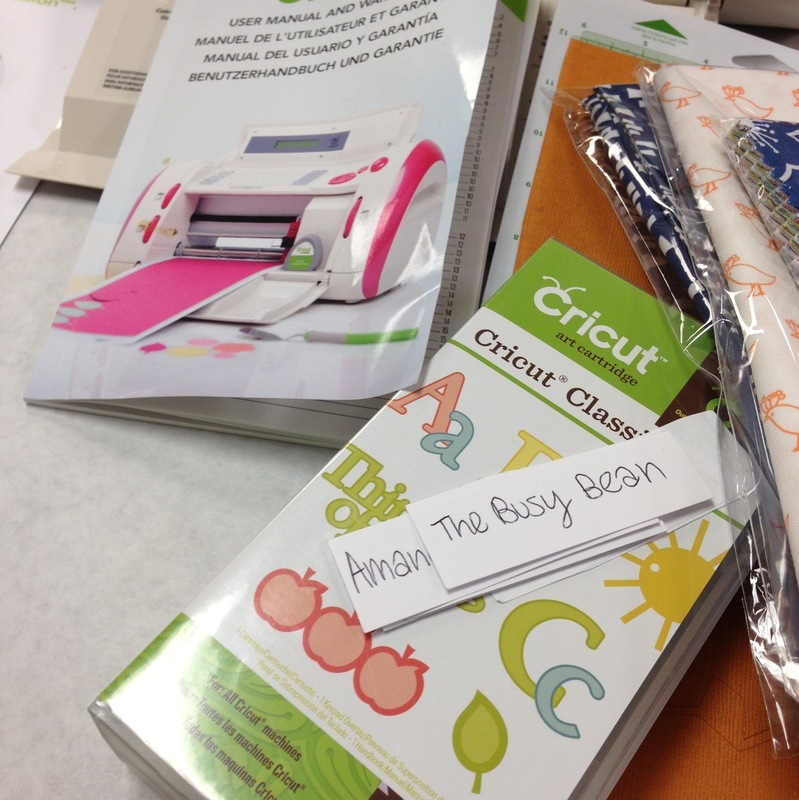 I was not so lucky this time, but some friends won a Lotta Jansdotter gift pack and a a Cricut cutting machine. I got to chat with so many nice people while we wandered around checking out the goods. Some I've known for years and some I got to meet for the first time after knowing them online. 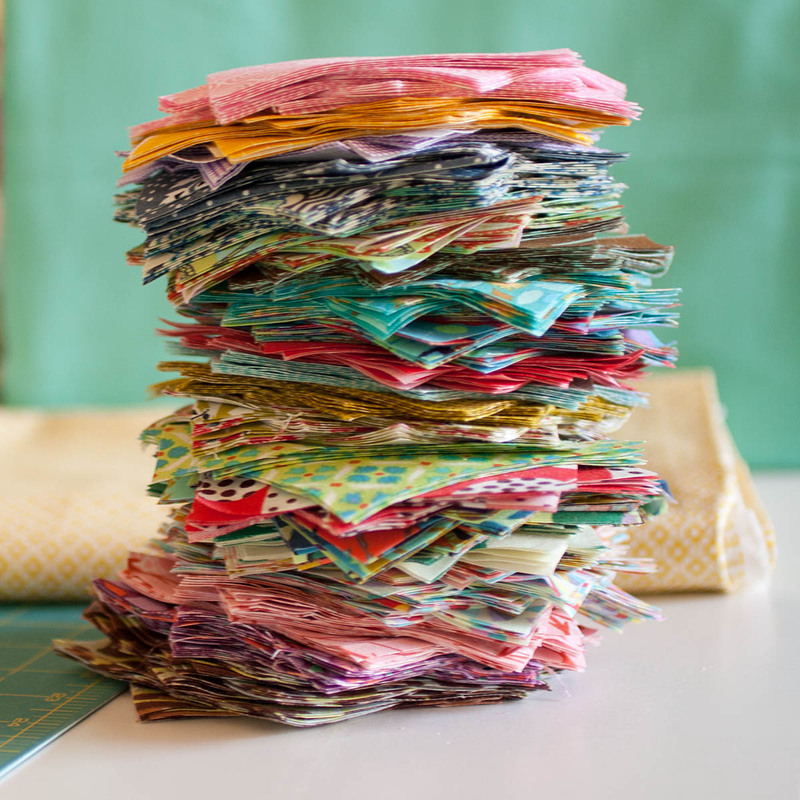 Yardage of Heather's newest line, Briar Rose, was available early. 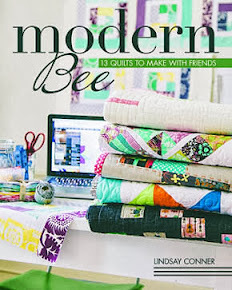 I already have a bundle from quilt market so I didn't buy any, but some of my friends did and that made me smile. One thing is for certain, we all love Heather's fabric! 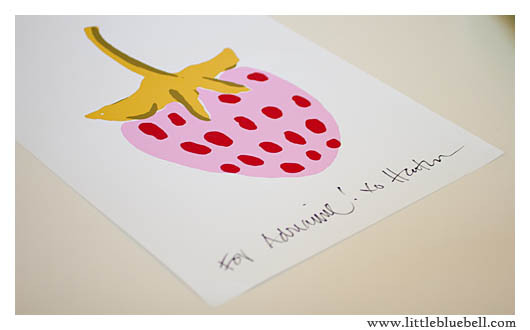 I ended the night with goodbyes, a signed strawberry print and a goodie bag. It was a fun event filled with love, support and awesome fabric!